Anjee has institutionalized the organization’s commitment to commission significant new work annually and to run a fiscally sound organization. She has played an integral role in community development work, which uses art as a vehicle to bring together people of various socio-economic and cultural backgrounds to promote neighborhood-based social change. Anjee has worked as a curator, writer and cultural worker in the Bay Area for the past eighteen years. She began her involvement with MACLA in 1994 and served as Associate Director and Curator from 2004-2007. In 2009 Anjee was recognized for her dynamic leadership with the “40 Under 40” award from the Silicon Valley/San Jose Business Journal. She has served as a nominator, juror and panelist for Creative Capital, Alliance of Artists Communities’ Visions from New California awards, and the San Francisco Arts Commission. She has presented at Grantmakers in the Arts (2009, 2011), the Ford Foundation’s 2010 Space for Change, and served as an advisor to the William and Flora Hewett Foundation’s Bay Area Cultural Asset Mapping project. In 2012 she joined the Knight Foundation’s National Arts Advisory Committee. Anjee earned a B.F.A. in Pictorial Studies from San Jose State University and holds an M.A. in Visual Criticism from California College of the Arts. Letetia Rodriguez is the Business Manager at MACLA, overseeing operations, facility and contract management, grant coordination, human resources and works with our external CPA firm to ensure solid financial management. She has a twenty-five year career working in non-profit administration supporting organizational development, event management, and compliance. She has worked with several community-based organizations around issues of leadership development, civic participation, and preserving cultural heritage. 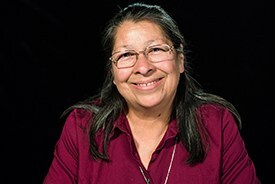 She has worked as a staff member, board member and community volunteer with organizations such as the San Jose GI Forum, Mexican Heritage Corporation, the Mexican Consulate and Vida Nueva, Sober Living Environment. She currently serves as Board President of San Jose GI Forum Scholarship Foundation and Treasurer for the American GI Forum of Santa Clara County Veterans Outreach Program (VOP). She holds an AA Degree from San Jose City College and is completing a BA from San Jose State University with an anticipated graduation of spring 2015. Sharon Benítez is a Mexican Folk Dancer and Musician who has taught and performed in the Bay Area, México, Nicaragua, and London. 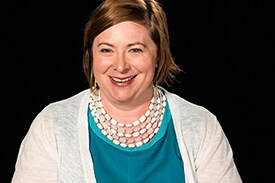 As the Performing Arts Engagement Coordinator at MACLA she develops the monthly First Friday performing arts series, manages the details of twice annual NPN Residencies, and coordinates community education classes, marketing, and Family Art Days. 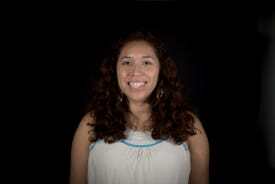 Native to the South Bay, she graduated from Santa Clara University with dual degrees in English and Ethnomusicology. 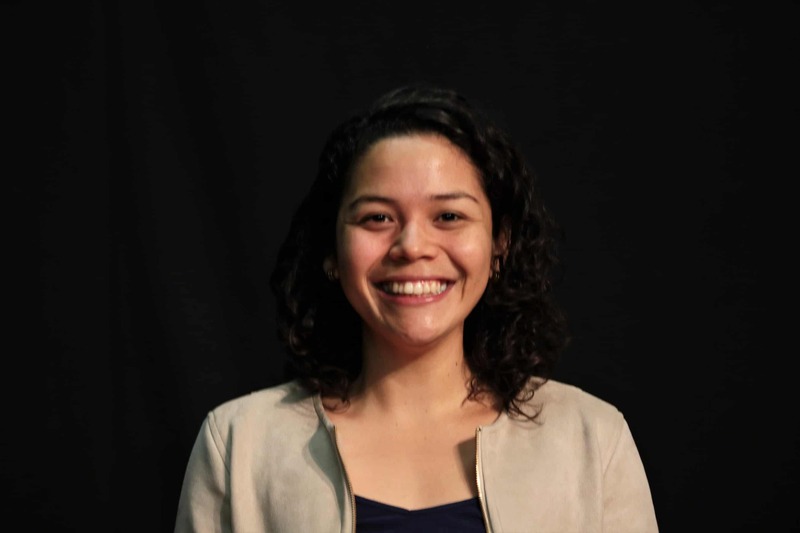 She has worked in San Francisco as an arts administrator with Dancers' Group, in San José teaching music and dance at Luther Burbank School, and as a teaching artist at various Bay Area theaters and public schools. Her interests revolve around arts education, music, dance, theatre and the culture and context they thrive in. Currently she performs with a Mexican Folk music and dance collaboration called Los Panaderos and leads a children's Mexican folklorico dance group called Grupo Folklorico Los Quetzales. 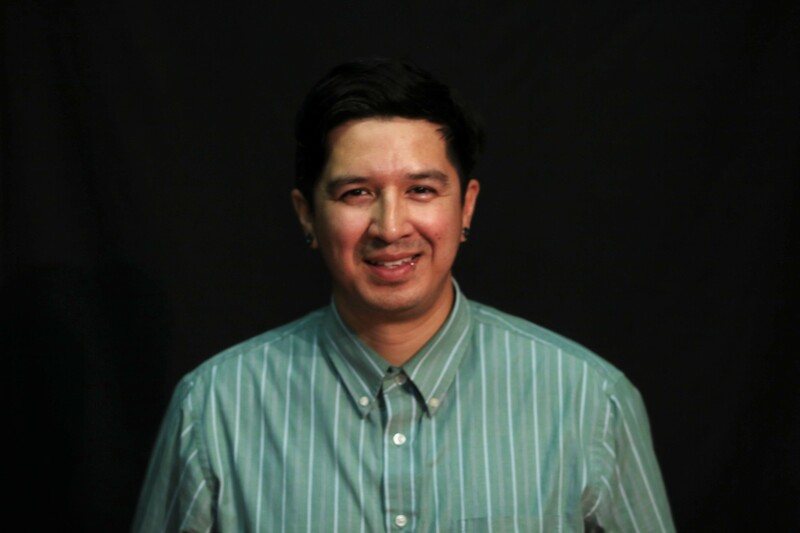 Ruben Escalante is a Filmmaker, Photographer, and Youth Advocate at MACLA’s DMC Studio. Ruben was born in Madera, California, and grew-up in Dos Palos, CA. Once Ruben graduated from High School he moved to San Jose to pursue an education in Cinema. 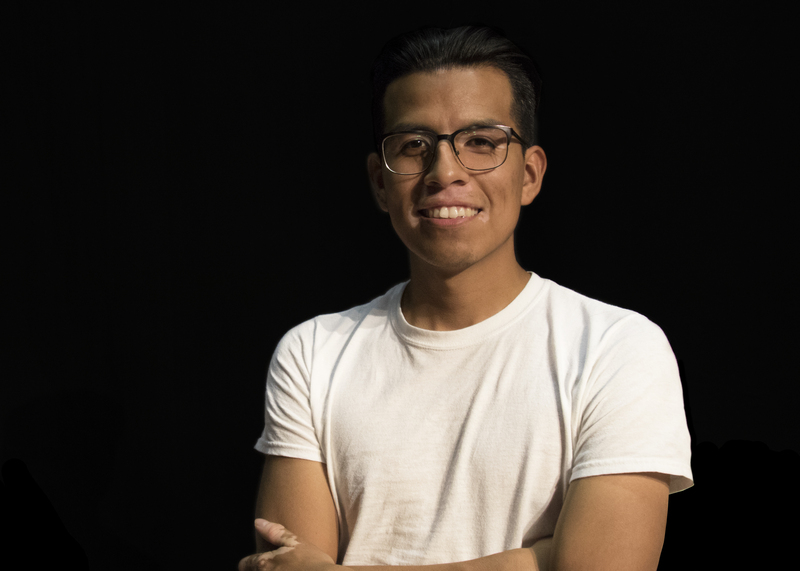 Since graduating Ruben has worked at numerous elementary schools focusing on art therapy. He recently started a collective titled Emo Kids of Color, E.K.O.C for short. E.K.O.C is a collective of artists who specialize in photography, zine making, film, music, and poetry. Nicholas Jimenez is an artist in several mediums including video, design, walls, photography, and drawings. From 2012 to 2013 Nicholas Jimenez worked under the direction of Charlie Lapson at his start-up, RedCarpetTips.com, located in the heart of LA’s Fashion District. After finishing his internship with Mr. Lapson, he set out to create a platform with a similar mission – to create and promote creative content that is current and local to a specific region. 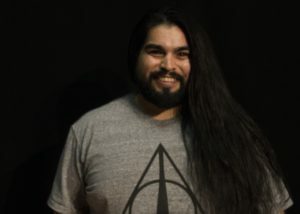 In October of 2013 Nicholas Jimenez founded Seldom Industries, a small business that promotes and creates multidisciplinary content for the City of San José. More recently the DMC studio at MACLA has used his work. Nicholas Jimenez has been a self-taught artist and has been for a number of years. He is a current student at San Jose State University where he seeks to obtain a Bachelors of Science in Industrial Design. He has a strong interest in typography, graphic art, videography and photography that is inspired by nature, architecture, music theory and the City of San José, CA. Jarvis Subia's work delves into his relation with his communities, sexuality, masculinity, national/global politics, lineage, race, gardening, mental health, personal growth, love, love, and love. Jarvis is San Jose’s 2018 Poetry Grand Slam Champion. He has been a part of 5 national poetry slam teams representing his college and city. His most heartfelt accomplishments are: graduating with a BA from San Francisco State University's Creative Writing program, placing 2nd in the nation for multi-voice poems in 2015 with the Palo Alto slam team, coaching a youth and 2 collegiate poetry slam teams for MACLA in San Jose and SFSU, participating in the masters writing workshop at the 2017 Las Dos Brujas writers conference. Currently Jarvis is a member of 2017-18 & 2018-19 Youth Speaks Emerging Poet Mentors collective, an in-class teaching artist for SFJAZZ’s Jazz In The Middle residency program, and is the after school poetry instructor for the DMC Studio at MACLA. Alexander Ramon, Associate Attorney with the Business Litigation Group at Hoge Fenton Jones & Appel, Inc.